Foundation For Continuing Justice | A non-proift law firm dedicated to reducing the unintended consequences of a criminal record. 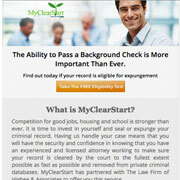 A non-profit law firm dedicated to reducing the unintended consequences of a criminal record. Looking for information or assistance? Take a look at our projects.